When Carole Matthews chose John Grisham‘s novella Skipping Christmas for this blog, she inadvertently opened up a new experience for me … using an e-reader! Anyway, I couldn’t find a copy of Skipping Christmas in any of Dubai‘s few remaining bookshops (I won’t get started on that particular gripe of mine, or I’ll never get to the subject in hand!) So my husband kindly downloaded it onto his iPad for me. What can I say about Skipping Christmas? It’s the story of tax accountant, Luther Krank, and his bright idea of opting out of Christmas, because his daughter won’t be there for the first time and he’s sick of all the money Christmas is costing him. Personally, I’d call that grounds for divorce, but he manages to talk his reluctant wife into his daft scheme to go on a cruise, for half the amount they spent on Christmas the year before. The Kranks live in in a claustrophobic (to my mind anyway) community, where everybody knows everybody else’s business. Instead of letting the Kranks just get on with it, the neighbours conspire to make things as awkward as possible for them. There’s plenty to go wrong in the run up to their cruise departure on Christmas day itself. It all gets a bit slapstick and a bit predictable, to be honest, as apparently does the film which was made of it, Christmas with the Kranks. But I did quite like the little twist at the end. 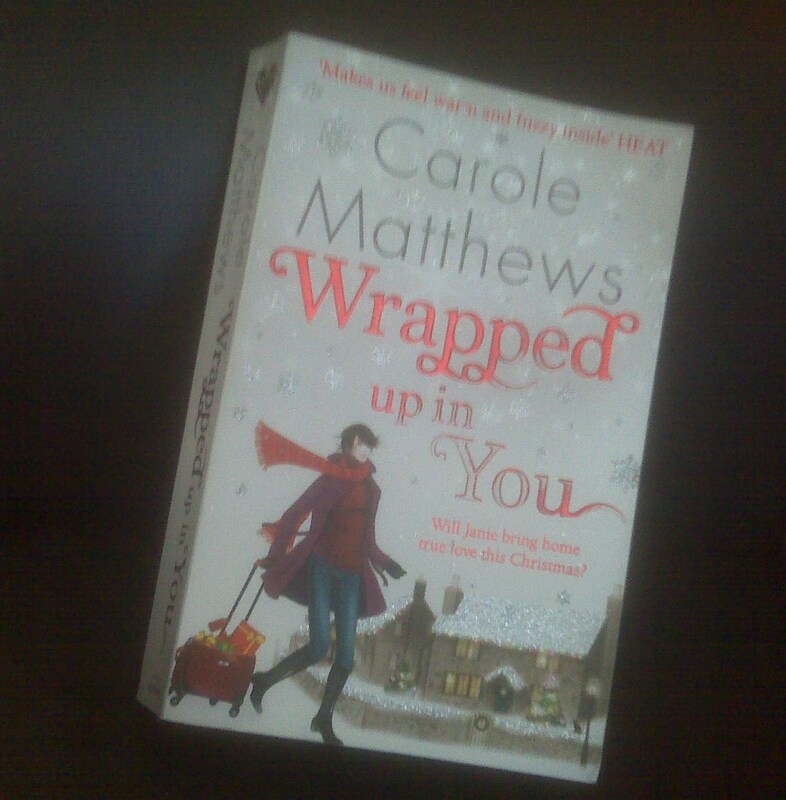 When I asked Trisha Ashley her favourite Christmas novel, she chose Wrapped up in You, by Carole Matthews. She said she particularly liked it because was so different, and I have to agree – after all, how many Christmas novels take you to the plains of the Maasai Mara? Published by Sphere in 2011, Wrapped up in You is the story of 30-something hairdresser, Janie Johnson, whose single status is a constant source of gossip for friends and clients. Janie’s only half listening, when one of her regular clients enthuses about her recent fabulous holiday in Kenya, although she’s captivated by the amazing photographs. After a disastrous blind date, and hearing that her ex is not only getting married Christmas week, but is also about to become a father, Janie tells him she’s off to Africa. She doesn’t know why she said it. She had no intention of going away at all. However, with an unwanted suitor stalking her and two weeks’ holiday left, it suddenly seems a great idea. Leaving her cat, Archibald the Aggressive, in the care of neighbour Mike, who is also single and clearly (although not to Janie) more than a little in love with her, Janie arrives, with four other travellers, in the baking African heat. The spectacular scenery and the beauty and nearness of the wildlife aren’t the only things to take her breath away. Their guide for the trip is Dominic, a tall, handsome Maasai warrior. By day he shows her the wonders of his homeland. By night he stays outside her tent, to protect her and calm her fears of becoming a hungry lion’s midnight snack. The week races by and all too soon, Janie’s back in the cold and the rain. She misses Dominic terribly and while her friends think she’s just enjoyed a holiday romance and should forget Dominic, Janie believes there’s more to their relationship. She’s hurt by their attitude towards Dominic and plans to go back and see him again, selling her only good jewellery to pay for the ticket. When she returns this time, she brings a very special souvenir back with her. But just when her friends should be supporting her happiness, they seem to be doing everything to spoil it … And if you want to know what happens next, you’ll have to read the book! 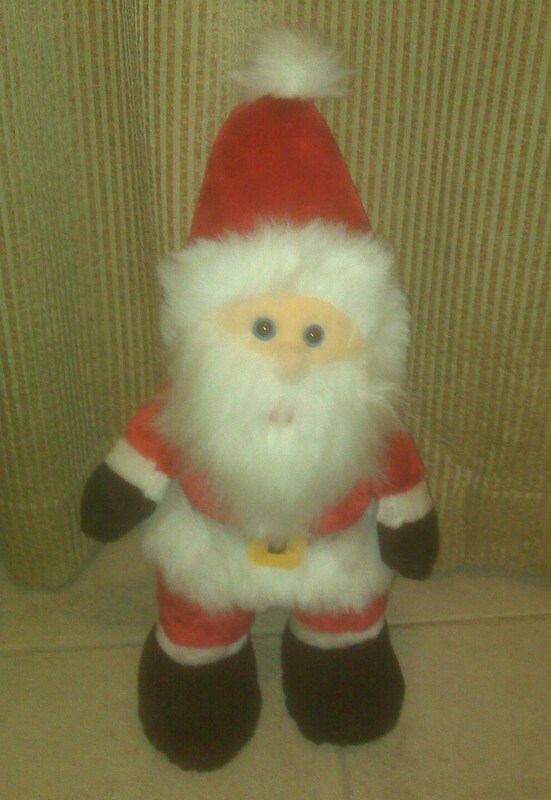 I love Christmas as much now as when I was a child. Having spent more Christmases than I’d choose to away from family and home, I’ve developed a huge fondness for Christmas novels. 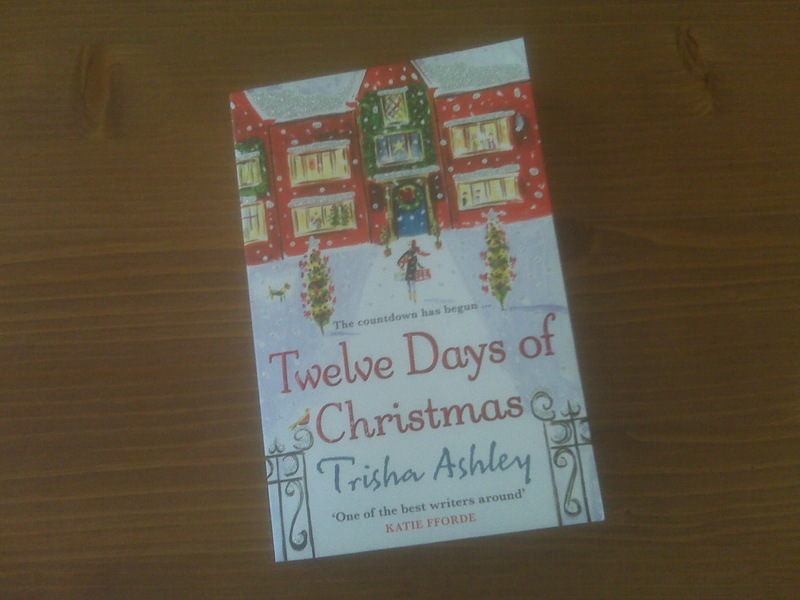 There are plenty of wonderful Christmas themed novels to choose from, but my favourite just has to be Trisha Ashley’s Twelve Days of Christmas. 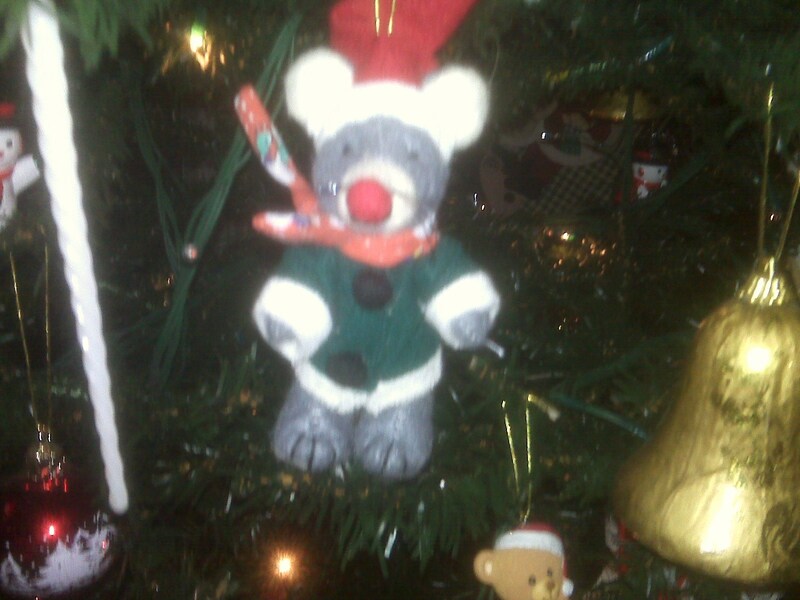 Now a young widow, after Alan’s Christmastime death, the festive season is too painful. Holly, who spends her summers cooking for house parties, spends her winters house sitting for those who are spending their Christmases away from home. She can be alone, work on recipes for her house-party cook book and most importantly, have nothing to do with Christmas. But the fates have other ideas for Holly. Her December house-sit on the Lancashire moors gives her little time alone, courtesy of heavy blizzards and the handsome Jude Maitland. Her recipes get plenty of testing, as more and more of Jude’s family join them, and rather than having nothing to do with the season, she ends up right at the centre of everybody’s Christmas. I won’t spoil the surprises, for those who haven’t yet read it. But I will say this – Make sure you have plenty of mince -pies and other Christmas goodies in before you start reading, because with all the wonderful food in this novel, you’re going to end up hungry just reading it! Happily, Trisha http://trishaashley.com has added some of the recipes at the end of the book. I can highly recommend the ginger and spice Christmas tree biscuits!